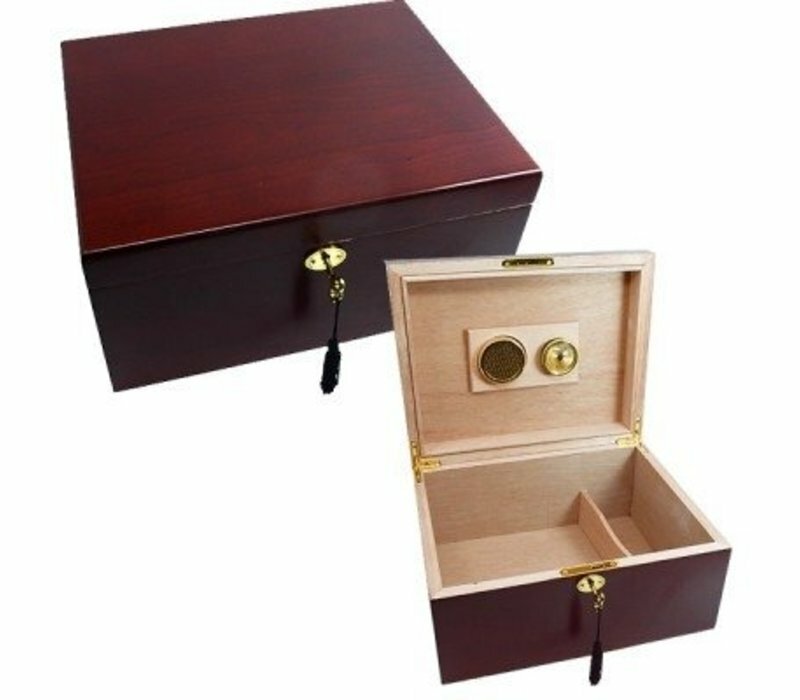 Humidor Durham is a beautiful brown lacquered hand made wooden Humidor with key lock. available from stock. Free delivery and shipped within 24 hours! The Humidor Durham is a beautiful brown ck lacquered hand made wooden Humidor with key lock. The Durham is a jewel for every home or office. 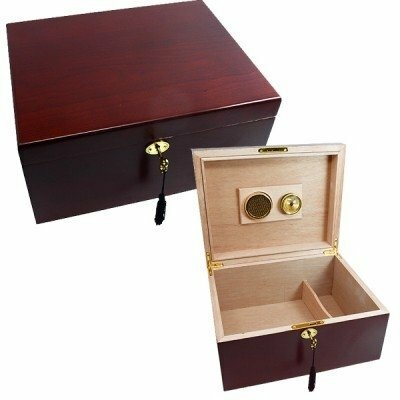 This humidor is larger than the picture suggests and can easily accommodate 50 to 150 cigars depending on the size of the cigars. Perfectly closing by means of recessed hinges.